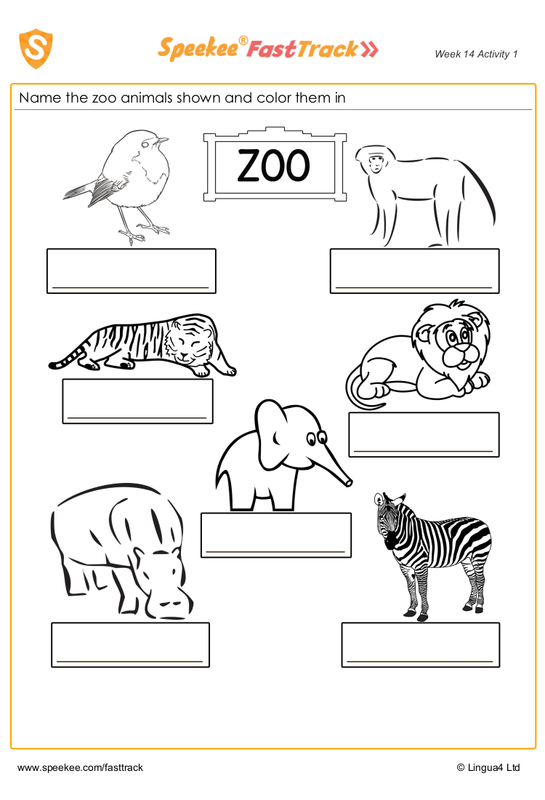 Name the zoo animals shown and color them in. All except the zebra perhaps! To access 100s of free Speekee® printables please login to your existing account or sign up below. ©Lingua4 Ltd 2006 - 2019 Registered in England and Wales 5800435. Speekee® is a registered trademark.